“Tonight, please complete the even problems on page 268 and show up ready to compare your work with a partner’s tomorrow.” Many of us recognize these words as a typical end to a typical math class. 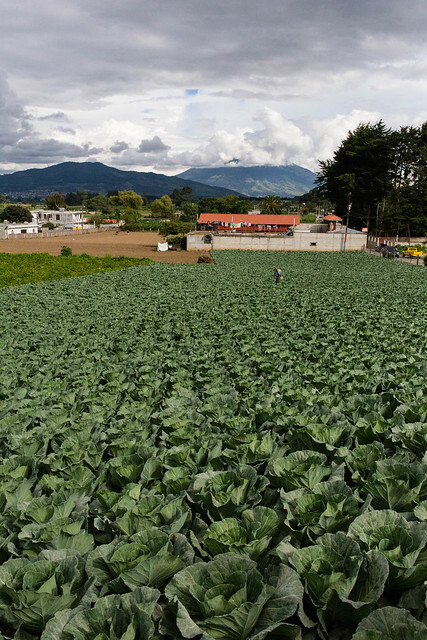 But for students in rural Guatemala, there is nothing typical about these words. Nine out of ten middle schools in the regions where CoEd works do not have textbooks. “Learning” in these schools focuses on rote memorization instead of critical thinking. Students spend as much as 65% of class time just copying from the blackboard. But the classrooms at Santiago Cooperative School, Orlando Chile Bucú’s alma mater, are different. Santiago has had a CoEd Textbook Program since 2001, and the difference is obvious. Providing textbooks to teachers and students gives them back a quarter of their class time—time that they can use for discussion, hands-on activities, and critical thinking. According to the UN, providing textbooks combined with teacher training (a hallmark of CoEd’s program) are the top two interventions that can be made in the developing world. Textbooks help students build the skills they need in order to become professionals. Orlando Chile Bucú is living proof of this process. He’s in his final year at the University of San Carlos, about to graduate with a degree in accounting. He credits his success to the CoEd programs he benefited from in middle school, including a CoEd scholarship, a CoEd Computer Center, and—you guessed it—CoEd textbooks. “The textbooks are awesome!” he says with a smile. Most U.S. students might never admit such a thing, but Orlando says that the CoEd textbooks taught him the math skills he needed to pass his college entrance exams on the first try! (Most students in Guatemala find the math exam so difficult that the university gives everyone three tries to pass.) Moreover, Orlando insists that his first year of university math was simply a review of the things he learned in middle school. That’s amazing! 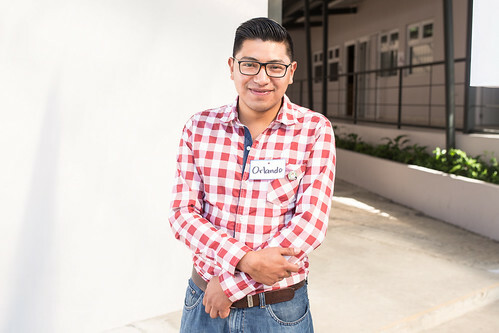 In addition to studying, Orlando works as a quality control manager at a large agricultural company in Guatemala. And he’s making three times as much money as his father, who dropped out after the sixth grade. Orlando even helped pay his younger brother’s school fees so he could graduate from school too. He sees this as a chance to pay forward the opportunities that he was offered, magnifying their impact. Orlando’s story demonstrates firsthand the real-world impact of CoEd’s interventions. Thanks to the textbooks that supporters like you helped bring to his school, Orlando was able to build the skills he needed to enroll in college, pursue his career, and break the cycle of poverty. He wanted us to pass along a message, and it’s a sentiment we share: “Thank you.” Because of you, Orlando’s future is brighter—and so are the futures of those around him. Thank YOU for making sure Orlando’s story continues to repeat itself, by helping our Textbook Program expand throughout Guatemala.